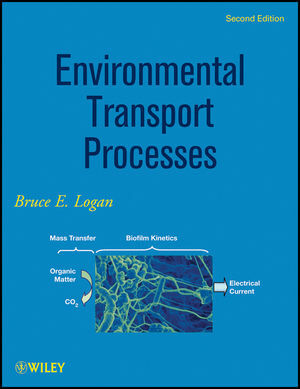 Environmental Transport Processes, Second Edition provides much-needed guidance on mass transfer principles in environmental engineering. It focuses on working with uncontrolled conditions involving biological and physical systems, offering examples from diverse fields, including mass transport, kinetics, wastewater treatment, and unit processes. This new edition is fully revised and updated, incorporating modern approaches and practice problems at the end of chapters, making the Second Edition more concise, accessible, and easy to use. The book discusses the fundamentals of transport processes occurring in natural environments, with special emphasis on working at the biologicalphysical interface. It considers transport and kinetics in terms of systems that involve microorganisms, along with in-depth coverage of particles, size spectra, and calculations for particles that can be considered either spheres or fractals. The book's treatment of particles as fractals is especially unique and the Second Edition includes a new section on exoelectrogenic biofilms. It also addresses dispersion in natural and engineered systems unlike any other book on the subject. Readers will learn to tackle with confidence complex environmental systems and make transport calculations in heterogeneous environments with mixtures of chemicals. Bruce E. Logan is the Stan and Flora Kappe Professor of Environmental Engineering, Department of Civil and Environmental Engineering at Penn State. He is Director of the Engineering Energy & Environmental Institute and the Hydrogen Energy (H2E) Center. Dr. Logan has won several awards for his research and articles and has authored Microbial Fuel Cells, also from Wiley.